A brand new way to play with 8*8 matrix! Put your board aside after uploading. This small matrix has a quicker & easier way of displaying what you want. 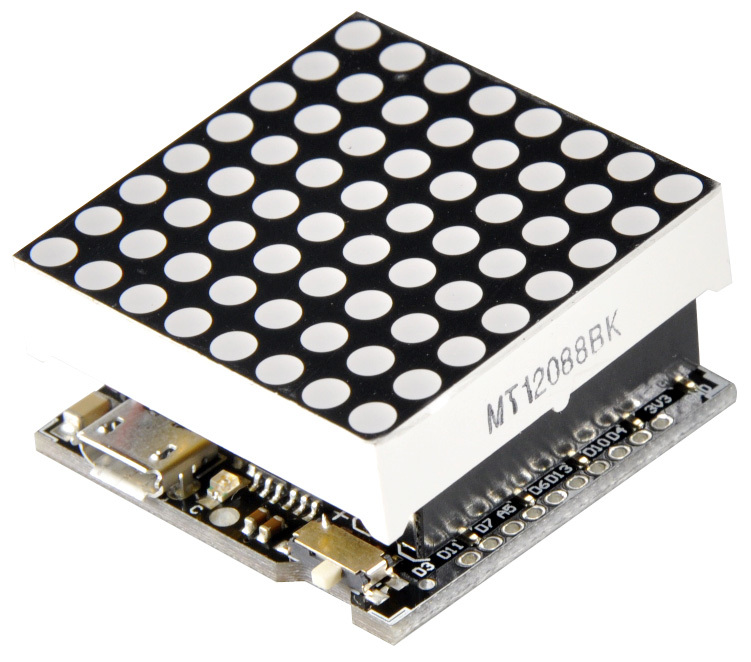 Tiny, portable, with microcontroller, display & power supply included, making it more convenienient to play with. You can programme whatever you want to display according to the sample codes in Wiki page.For example, a beating heart, a smile face, or even a slot machine. It can be a gift to your girlfriend, children, the choice is up to you. No need to connect other jumper cables & microcontroller. Find this cool little blittering dice in the bar, in a party... Now it's your turn to give it a new life. Get 8*8 Matrix from DFRobot Store or DFRobot Distributor.